An attractive 750ML Cornwall Drinks Bottle with black lid. (Tritan™ is engineered to be better than glass better than stainless better than any other plastic. Tritan doesn’t contain BPA, BPS or any other bisphenols). Lid is polypropylene, sipper is polystyrene, straw is polyethylene. 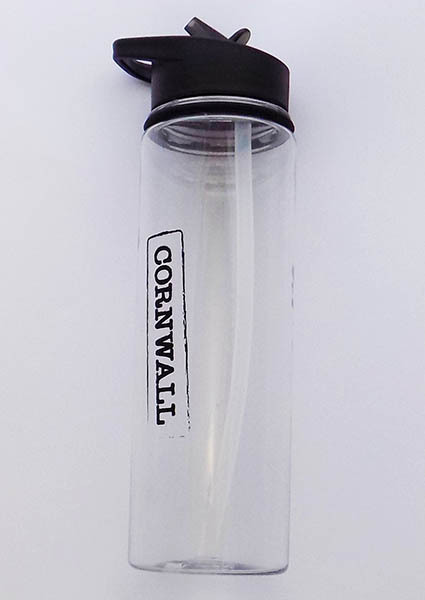 The Cornwall Drinks Bottle is clear, durable and safe. Whenever you need hydrating your Cornwall Drinks Bottle is the perfect container!